This recipe is a great balance of protein and fat. Serve it with a serving of complex carbohydrates such as cooked grains or whole grain bread to make it balanced. Not appropriate for Dysphagia Levels 1, 2, or 3. Salads should be avoided due to the raw vegetables, multiple textures, and difficulty in forming lettuce into a bolus. Combine chia seeds and water and set aside until gel is formed (about 5 minutes). Combine remaining ingredients for dressing in a small bowl and add chia mixture. 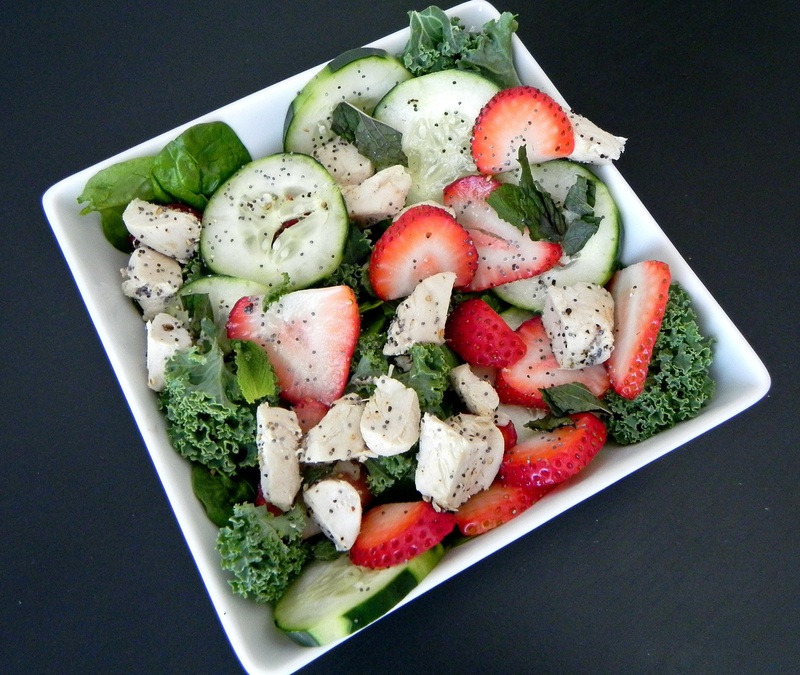 Add leafy greens to medium bowl and top with chicken, strawberries, cucumbers, and mint. Toss salad with dressing. Serve cold.